Neverwas was a good family drama. Zach Riley (Eckhart) is working as a psychiatrist in the Millwood Insane Asylum. 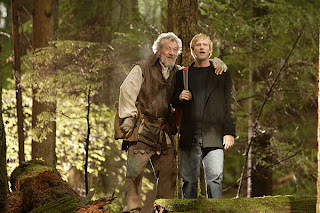 He meets Gabriel (McKellen) who only thinks about Riley's Father (Nolte) and the fantasy book he wrote years ago. Zach realizes that the book may be true and Gabriel holds the key to its existence. The performances are first-rate. McKellen and Eckhart have a good chemistry together. Hurt is his usual self. Nolte and Lange don't have much to do but it's nice seeing them. One of the problems with the movie is that they criminally wasted Michael Moriarty's talent. He's in it for an actual second. Why cast him if he's gonna be a extra? This movie has been collecting dust for over three years now. I can definitely see why. The movie is slow and not much happens. 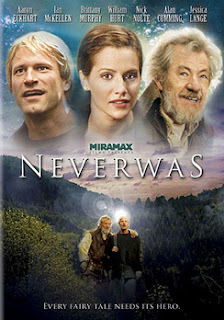 But overall, Neverwas is worth seeing for the performances and plot-line.